o Kentucky’s stray holding time should be reduced. Kentucky has the second longest stray holding time in the United States. (Ninety percent (90%) longer than most states.) Click here for state comparison. § According to KRS 259.130, a person “taking up a horse” is required to house the animals for ninety (90) days prior to allowing the horses to be adopted. This is both labor and cost-prohibitive. The time required and the method/description of housing should be revisited. o Provide property owner protection from liability issues. 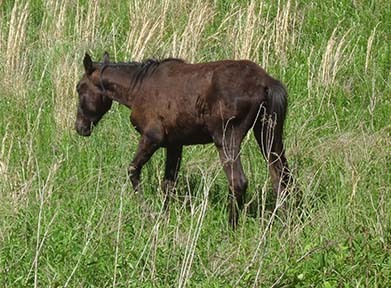 If a landowner agrees to allow horses to temporarily stay on their property, that same landowner shall be protected from any lawsuits should one of the horses get hurt on his property and/or cause damage to itself and/or others upon leaving said property unless the landowner willfully and with malice, caused the damage. o Because overgrazing by these abandoned horses often results in weak ground cover, ground cover requirements should be lessened for those properties still bonded that provide pasture area to horses during the holding process. Click here for Kentucky's existing KRS laws addressing stray horse and cattle issues including current stray holding times.